CHUCKY. 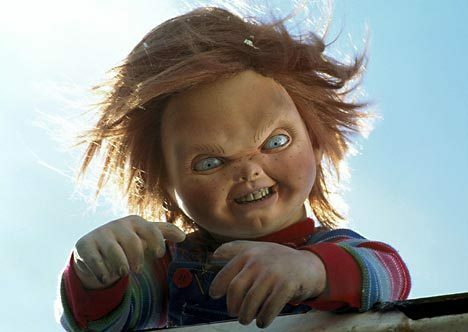 jlhfan624 influenced me to share some of my Chucky चित्रो :) Hope आप like them.... Wallpaper and background images in the डरावनी फिल्में club tagged: horror films stills slashers chucky the killer doll tiffany glen child's play photos horror movies murder. This डरावनी फिल्में photo might contain चित्र, headshot, closeup, हेडशॉट, and क्लोज़अप.